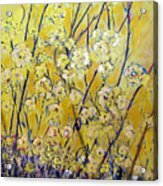 Flowers Of The Sun is a painting by Gary Smith which was uploaded on July 16th, 2010. Original is SOLD: Flowers of the Sun is representative of our individual families. 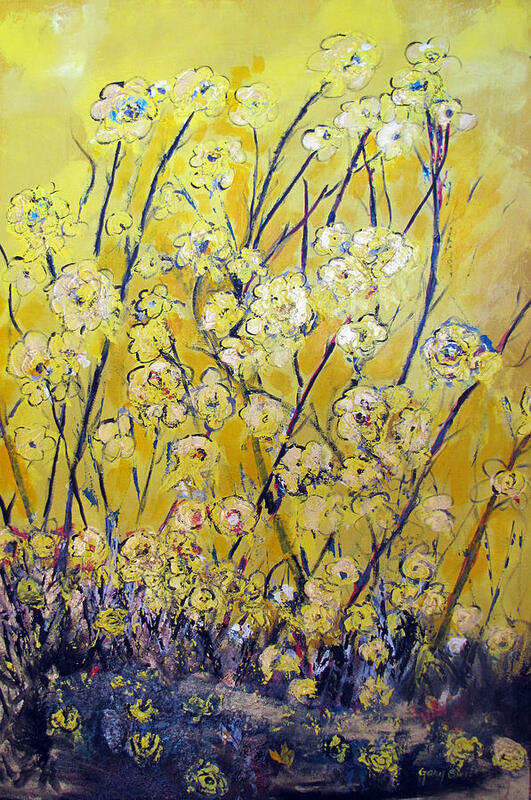 The tall flowers are the movers & shakers (adults). While the smaller flowers are the children. Then look to the ground as those that have gone before us into the great flower garden, remain a part of us and as we all know; you can never wipe-out their memory (nor would you want to). In all it is nothing but the sun that makes life and brings out the beauty of each flower and individual. 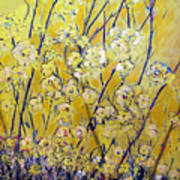 The colors are based around the vibrancy of yellow with added whites, gold, black, browns, & a touch of reds. 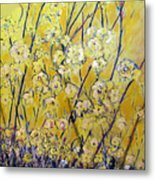 The flowers are raised above the canvas with heavy acrylics using the pallete knife. If you enjoy movement in your collection of art and think of your family often, I think this work will fit into your home perfectly. Gorgeous work, well done, Gary!